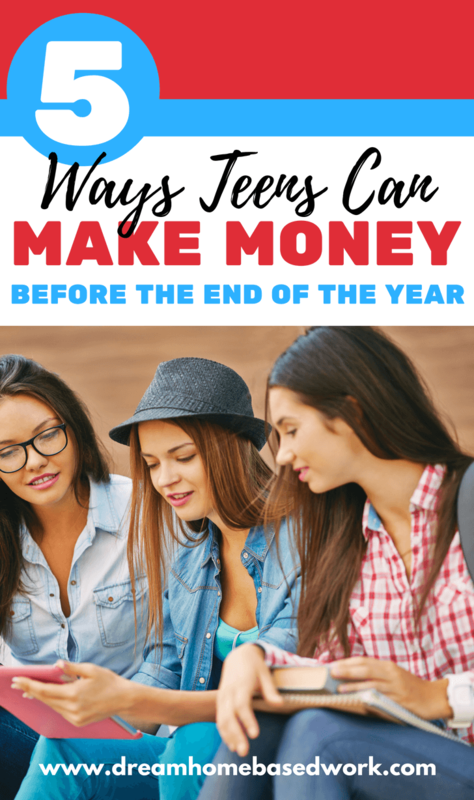 As someone with two teen sisters, I know first hand that teens are looking for ways to earn money for everyday expenses, holidays, and birthdays. Luckily, there are so many ways for teens to earn money as long as you know where to look. 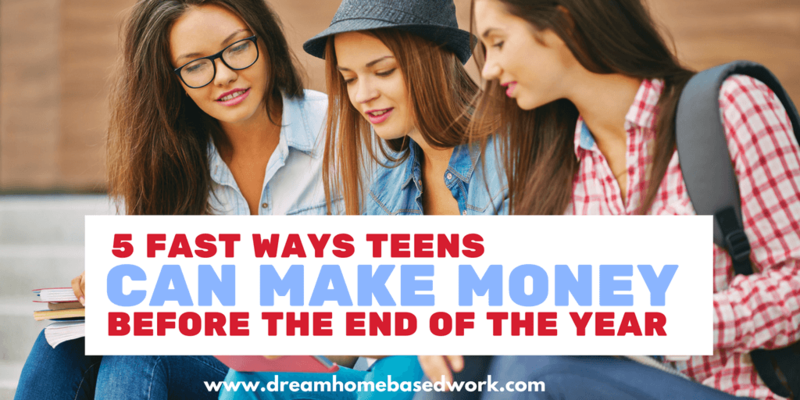 Here are 5 ways for teens to earn money before the end of the year. Babysitting is a popular first job for most teens. Why? It’s easy and tends to pay well. If you have experience with watching your siblings or just like kids, you can make a decent amount of money babysitting people’s kids on the evenings and weekends. Ask relatives if they need a babysitter or you can even ask your parents to ask their friends and coworkers for you or sign up for an account on Care.com to market your services. My 18-year-old sister landed a part-time gig as a nanny back in August and she takes two kids to school some weekday mornings for extra money. Have any old clothes, shoes, books, video games, or game systems? What about your bike, skateboard, old cell phone or guitar? You’d be surprised at what people will buy especially with the holiday season rolling around. If you’re under 18, be sure to involve your parents in all communication between you and potential buyers whether you’re selling items online or in person. Like animals? You can walk dogs and pet sit in your spare time to earn extra money. Many people might be traveling for the holidays so reach out to anyone who has a pet and might need your help. Put up flyers in your area and ask neighbors if they need a dog walker. Reaching out to elderly neighbors who can’t get out as much might be a good idea. If you’re 18, you can sign up for Rover.com which is a website and mobile app that connects pet owners with local dog walkers. Embrace your entrepreneurial side and design t-shirts to sell for cash. As long as you’re 13 years old, you can sign up for TeeSpring with your parent’s approval and develop t-shirt designs to sell. You can design shirts with your school’s name or slogan on them, represent your favorite sports team, or design a shirt that supports a cause you care about. For example, November is prostate cancer awareness month and men need to be educated about that. It may not seem like it but t-shirts can raise a lot of awareness for important causes and prompt people to seek out more information. You can promote your t-shirts by sharing the link to purchase them on you social media networks and describe how they could make a great gift. Finally, applying for a seasonal job is always a great idea to make money before the end of the year. As long as you are 16 years old, you can still head to the mall or retail stores like Target, Walmart, or KMart to apply to help out for the holidays. You’ll learn some new skills and gain more work experience. As you can see, there are so many different things teens can do to earn extra money within the next few weeks. The key is to get started now. Determine what you're interests are, then act on them and start either advertising your services or products to other people or put in different applications for seasonal jobs. Want to Find More Work at Home Jobs for Teens ? Check out FlexJobs, where every single job is screened for 100% legitimacy. Guaranteed!